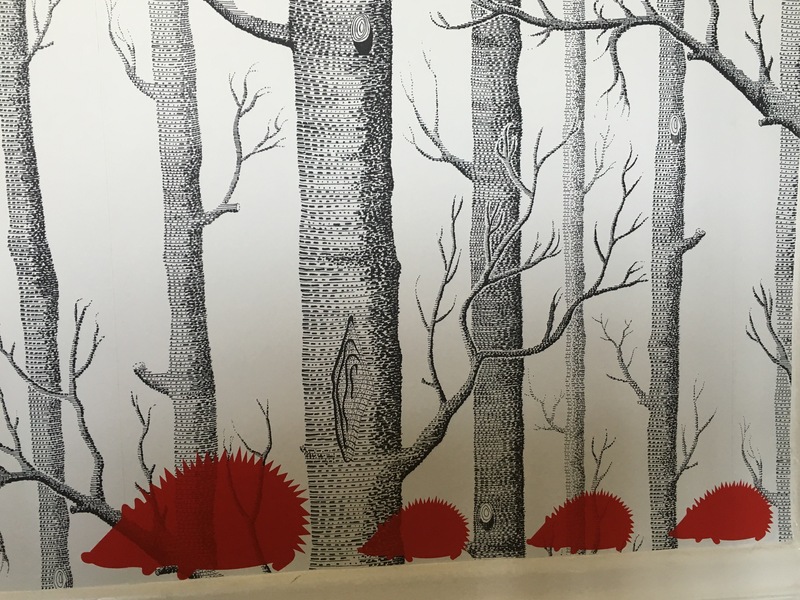 I have hankered for some time after Cole and Son’s ‘Woods’ wallpaper. So when I noticed on a local buying/selling site that someone had over-ordered some for her project, I snapped the excess up. I didn’t have a room in mind for it, but the chance and price were too good to pass up. Nevertheless, it sat around for more than a year while we procrastinated about what room to put it in. We finally got around to hanging it on the walls of our toddler’s bedroom last month. …and a family of hedgehogs out for a stroll. 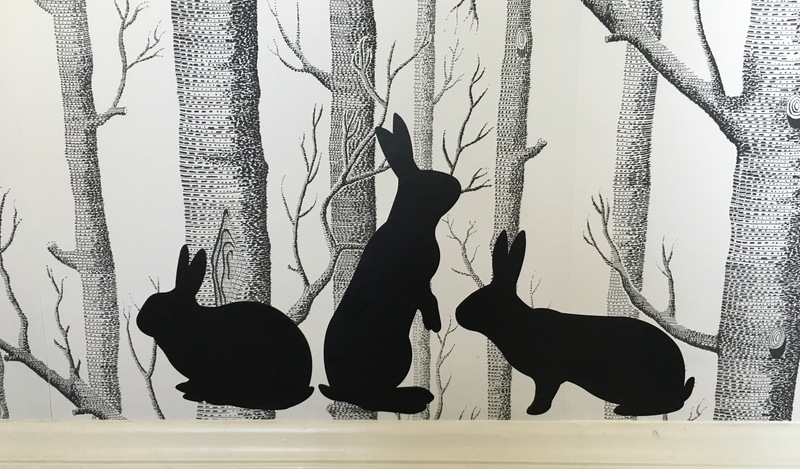 The woodland animal wall decals are by Lauren Moriarty & Co. from Not on the High Street. You can buy them individually or as a pack of three and choose your animal and colour combinations. 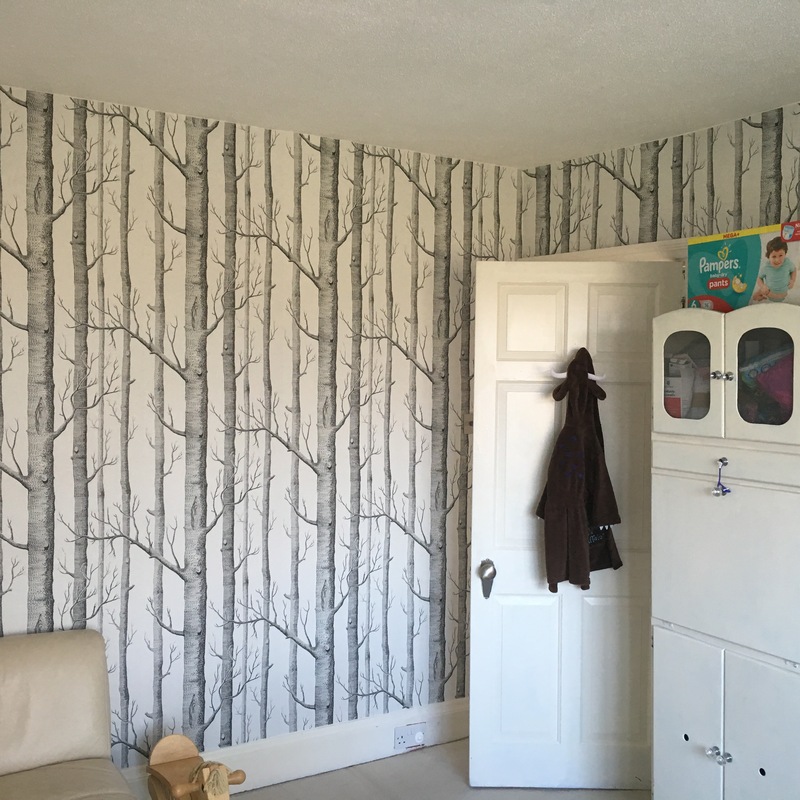 They are so easy to put up that my toddler managed it! 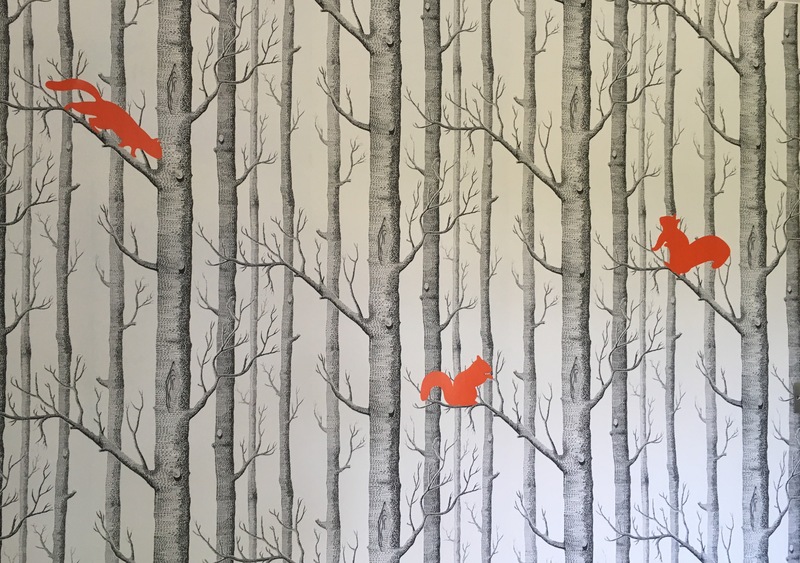 I like to think we’ve added a bit of fun and haven’t defaced this iconic wallpaper. What do you think? 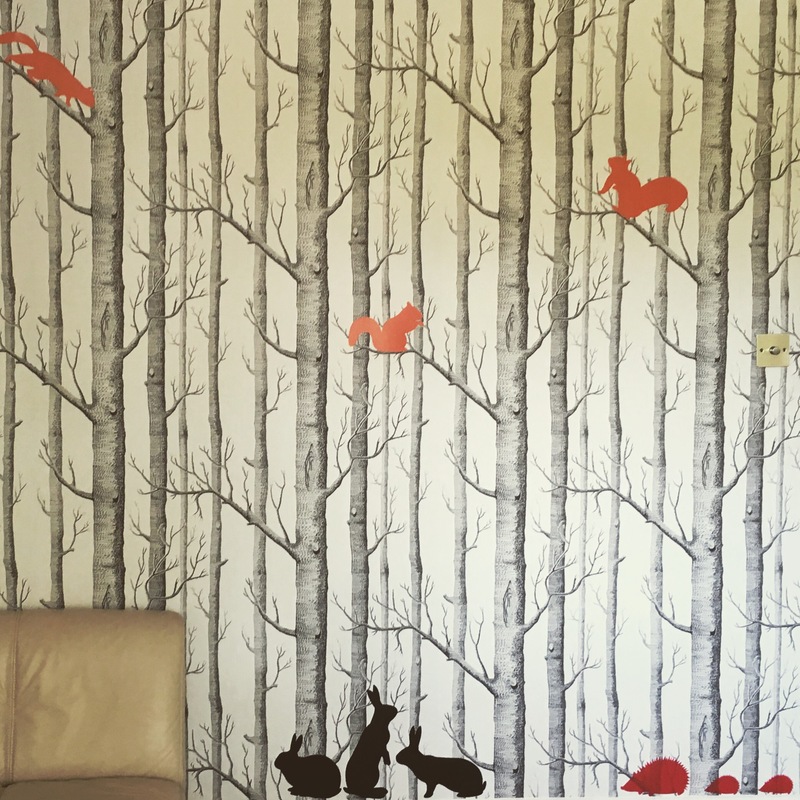 We’ve got a little wallpaper left over and I’m dying to recreate this downstairs-toilet-come-forest.